Ask Gillman Acura: Should You Buy or Lease Your New Acura? The research is done, and you’ve made your choice on your new Acura. But before you sign on the dotted line, have you considered the benefits available to you when you lease an Acura? If you’ve got a few minutes, Gillman Acura’s team of automotive leasing experts want to help you make an informed decision between the benefits of buying or leasing your next Acura. Up-Front Down payment is typically less with leasing than buying. Down payment can be rolled into the total cost or used to significantly reduce your monthly payment. Ownership While you don’t own it, you can easily upgrade to the newest model when the lease is over. You own it. If financed, when the loan is paid off it is yours. Yes! Monthly Payment Lease payments are generally smaller than auto financing with a loan. This is because you are only paying for vehicle depreciation and ‘rent’ fees during the term of the lease. Loan payments are generally higher than leasing. This is because you are paying off the full price of the vehicle. Mileage Mileage limits. Your lease includes a standard amount of miles related to vehicle depreciation. Fees are incurred for extra miles accrued. Repair costs. As the vehicle owner, unless you opted in for a service package at the time of purchase, you are responsible for maintenance, service & repair of your new vehicle. Repair Warranty Maintenance. Most auto lease packages come with a warranty, this covers most maintenance and repair costs. Repair costs. As the vehicle owner, unless you opted in for a service package at the time of purchase, you are responsible for maintenance, service & repair of your new vehicle. Contract Contract. Yes, a lease is a contract. Expect early termination costs and fees. Also, vehicle customization is not allowed. No Contract. Sell when you want. Customize to your heart’s content. Are you a car-keeper or a car-trader? If you like getting a new car every 3 to 5 years, leasing could be for you. Are you a commuter or a road-tripper? Love taking long road trips and regularly exploring the countryside in your vehicle? You’ll definitely want to purchase your new Acura. Are you a vehicular decorator? If personalizing your car with exterior and/or interior artwork is a high priority, buying is your only option. If you’re not interested in customizing your vehicle, you might consider leasing your new Acura. Are regular car payments in your budget? If you’re looking for a temporary car payment, then financing your new Acura is your best option. Perpetual car payments not a problem? You’re going to love our low lease payments at Gillman Acura. Do you like handling your vehicle’s maintenance? If you are a do-it-yourself mechanic, your best option is to buy your new Acura. Happy letting ASE Certified Technicians work on your Acura? 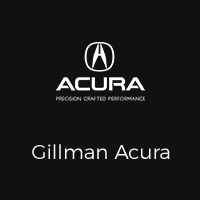 Your Gillman Acura lease will cover most service and maintenance needs. Gillman Acura is committed to providing our customers with everything they need to make the best automotive financing or leasing decisions. So, please bring all of your questions to our highly trained team of Acura experts and let us help you find the Acura deal that best meets your driving needs. Simply shop us online or contact Gillman Acura to get everything you need to experience Precision Crafted Performance®. Very nice people can’t wait tell my next oil change. Great experience and very upfront. Love this dealership! Everyone knows me by name and always have a sense of urgency to take care any service request that I have! Thank you, Acura and Rebecca! Great Team here and Miquel does a great job of taking care of us EVERYTIME we come in! The service department is awesome. I really appreciate my serviceman, Ron Mascardo. He’s very professional and knowledgeable when it comes to Acura. If you’re looking for an Acura service dept., look no further.